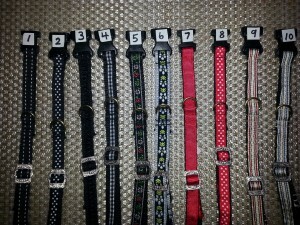 Tag collars adjust from ~13 inches to 20/23 inches in length. They are meant to be worn at the base of the neck. That way they don’t pinch by being too close to the added martingale collar for walks. Widths range from 1/2 inch to 5/8 inch depending on the style. All the patterned ribbon is backed with 1/2″ webbing for durability. 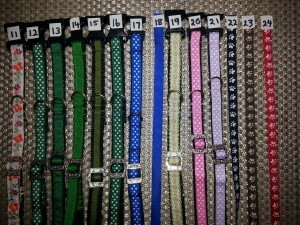 These collars are tough enough to be used as a restraint if you need to quickly grab your hound as he tries to sneak out the door, or head for the steak on the counter! The clips are parachute quick release clips. Since the collars are loose and can come over the head, there is no need to worry about the dogs getting caught up in other objects when wearing them. D rings allow for tag attachment. Will accept cash or cheque/money order . 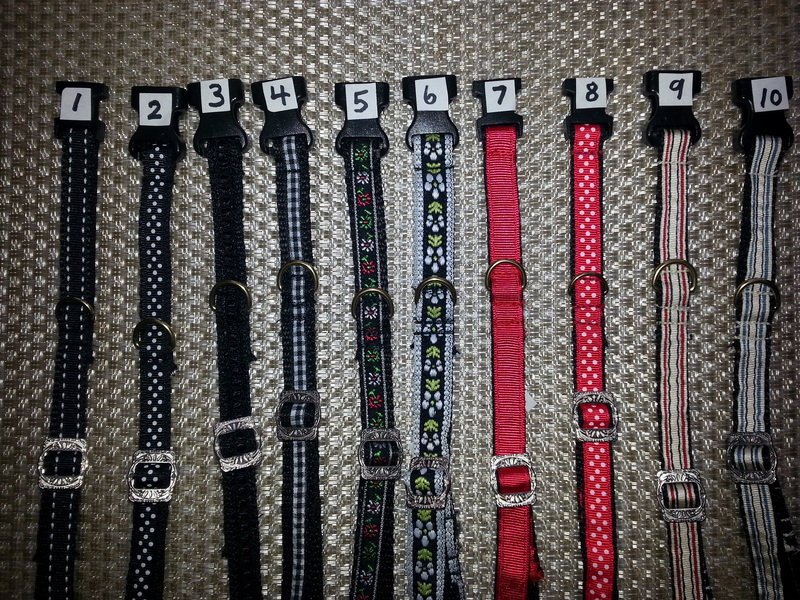 Please order by number assigned on the desired collar. 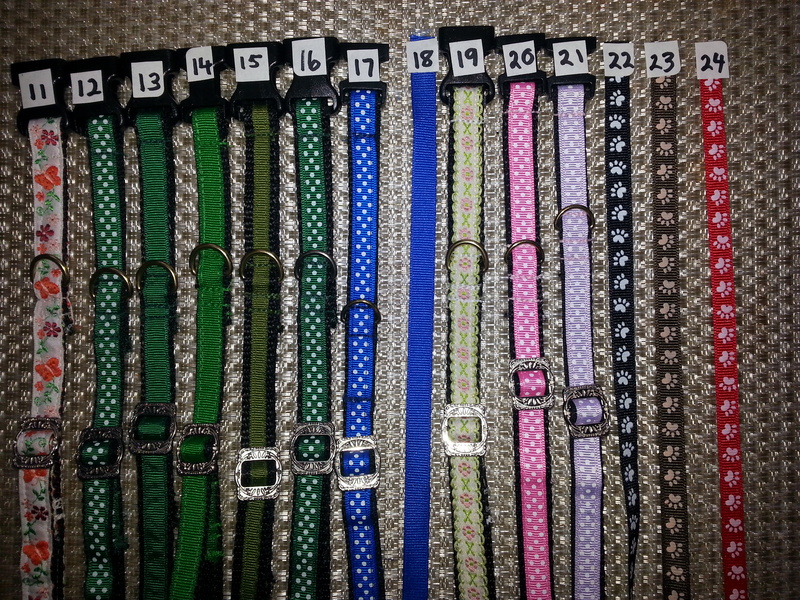 Note Error: 12 and 16 are duplicate collars. Don’t see quite what you would like? We can make to order within reason!